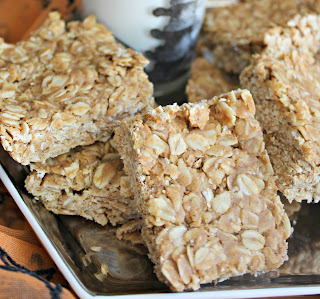 No Bake Pumpkin Peanut Butter Oat Bars - Made It. Ate It. Loved It. Pumpkin is in full swing over at my house and I could not be happier about it. My husband on the other hand isn’t as much of a pumpkin fan. So i try to limit the amount of full pumpkin treats. 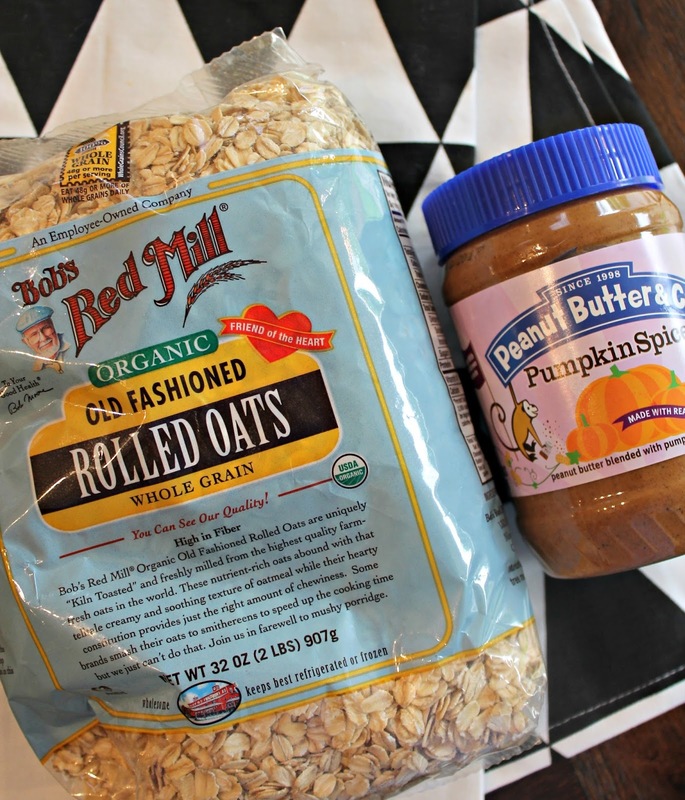 Luckily I was sent the best “welcome to fall” package from Peanut Butter & Co. and Bob’s Red Mill that had their fun new pumpkin peanut butter and rolled oats in it. 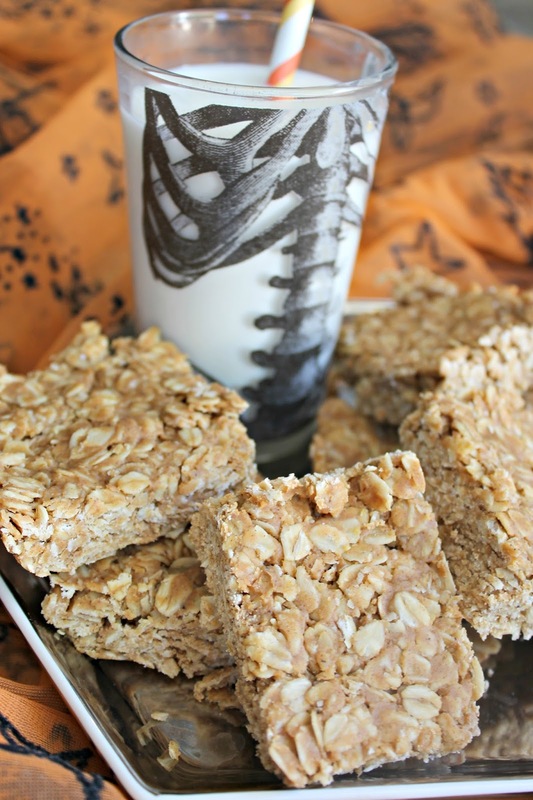 This recipe has just the right amount of pumpkin in it for those who aren’t 100% pumpkin lovers like myself. Although if u do each it straight out of the jar (like I do) you will get your share of pumpkin and peanut butter. Let me just tell you that this stuff is brilliant!!! So way to go Peanut Butter & Co. it has made this fall start off with quite the bang!!! With fall in session but with the fall temps not quite getting to Arizona yet. Boooo! But this “no bake” treat was the best way to enjoy fall without heating up my house! And lucky enough they only have 3 simple but important ingredients. 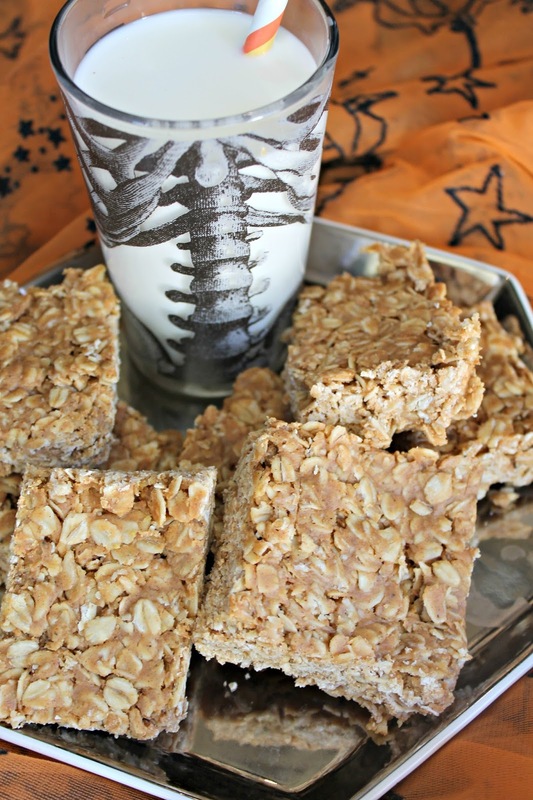 This treat is made in minutes and is enjoyed by all ages! (My whole family can attest to that) It is bound to be a special treat for everyone! And lucky enough I am going to be giving away peanut butter and old fashioned rolled oats to one lucky reader! In a saucepan over medium to low heat melt together the peanut butter and honey. 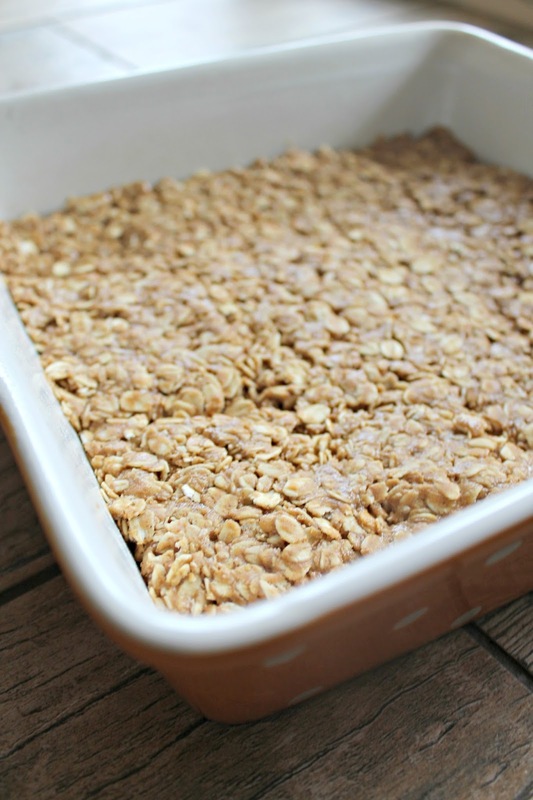 Pour the oats into a medium size bowl. Once the honey and peanut butter are melted together pour over the oats and mix with a rubber spatula. Grab a 9×9 baking dish and spray with cooking spray. Pour oat mixture into dish and press down firmly. Let sit. You can let them sit in the fridge if you like them a little harder or just out on the counter if you like them soft. Overnight Cinnamon Rolls | Made It. Ate It. Loved It.